I have listed a new property at 1855 Bannatyne AVE in Winnipeg. This Elegant Bi-Level New build offers 905 square foot of perfect space for you! Modern Open design that boasts functionality and comfort for daily family living! This inviting home boasts and offers 3 spacious bedroom, 1- 4 piece bathroom. Bright and Clean Kitchen with designer cabinets, Large Living room with large windows and contemporary paint palette throughout home. This property is all you have been looking for! Hi-Efficiency Furnace, HRV, New Homeowners Warranty. A great neighborhood to raise a family! Close to schools, Transit, shopping nearby. Call today to book your private viewing. Don't Miss this opportunity!! I have listed a new property at 1866 Pacific AVE in Winnipeg. This contemporary new build is perfect for you and your family! An amazing new bi-level featuring 3 spacious bedrooms and a gorgeous 4 piece bath, featuring designer tile work & classy vanity area! Bright & Clean Eat In Kitchen with stone counter-tops & lots of cabinet space, perfect space for entertaining family & friends.! Beautiful Vaulted Ceilings. Quality Laminate floors throughout home. Full basement that has been insulated with laundry room and rough in bathroom waiting for your final touches. High efficiency furnace with HRV, Sump pump. Close to amenities and public transportation.Call today! 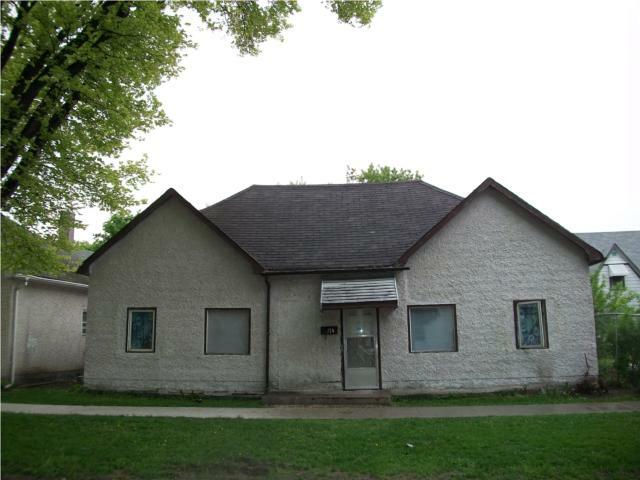 I have listed a new property at 1519 Alexander AVE in Winnipeg. Show and sell this great starter home for the first time buyer or great investment property. This lovely 748 square foot 2 bedroom 1 bath home is perfect for you! Appliances included. Main floor laundry Call today to book your private viewing. Quick possession available. I have listed a new property at 777 Ross AVE in Winnipeg. Great Starter or Investment Opportunity property! 1280 Square foot 1 1/2 story 3 beds 1 bath. Call today to book your private showing. I have listed a new property at 1864 Pacific AVE in Winnipeg. Great Investment Property! Perfect Starter home for first time buyer! This 725 square foot bungalow featuring 2 bedrooms and 1 bathroom has been upgraded and has much to offer! Single detached garage. Close to Red River Community College!! Call today to book your private viewing. Wont last long!